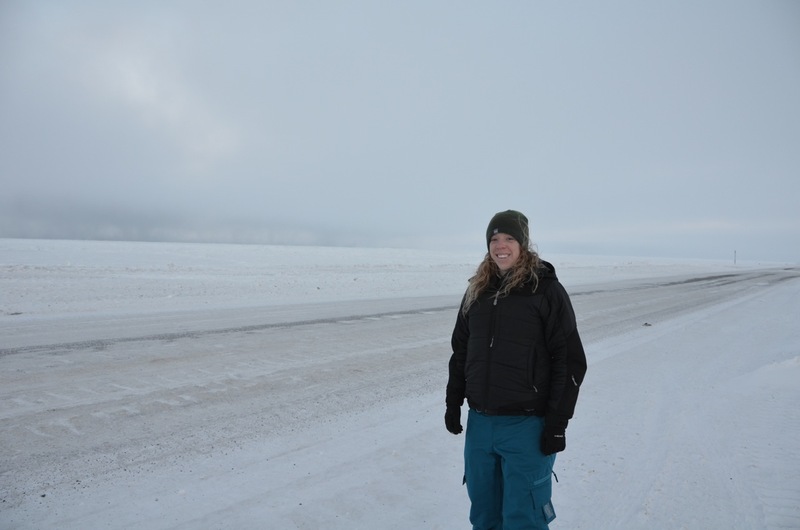 At the end of January, I had the privilege of traveling to Barrow, Alaska. There to assist with a few projects for work, this was my second ever visit to Barrow. My first visit was in the summer of 2011. I didn't blog about that trip, but will be sharing that experience in the near future. 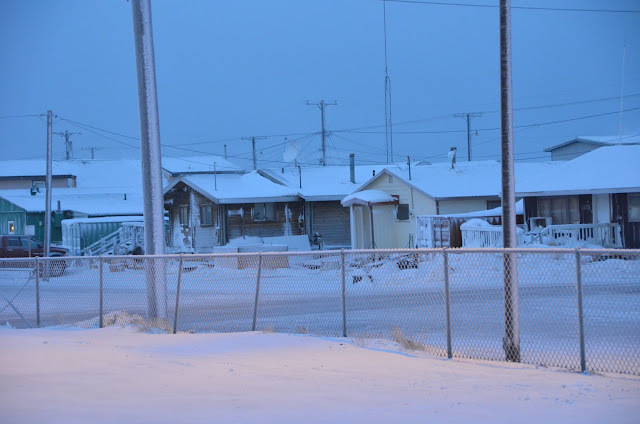 With 4,212 residents (according to the 2010 census), Barrow is the largest community in the North Slope Borough. It is the 9th northern most city in the world and is the northernmost city in the United States. Nearby Point Barrow is the northernmost point in the United States. The name "Barrow" is derived from Point Barrow, which was named by Frederick William Beechey in 1825 after Sir John Barrow of the British Admiralty, who was a strong supporter of Arctic voyages of discovery. 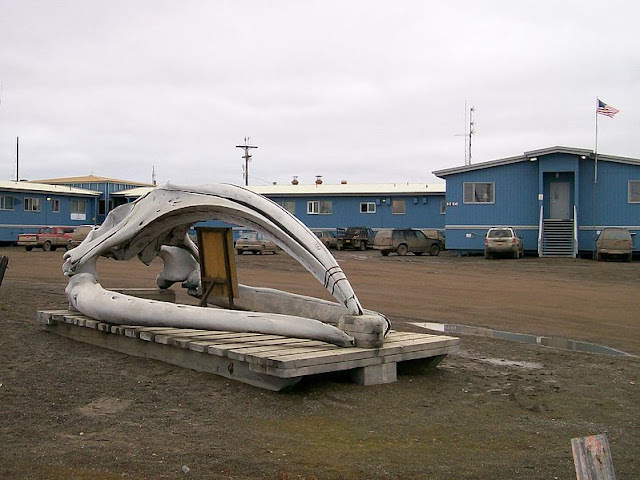 Barrow and the surrounding north slope region has been home to Inupiat People "Real People" for over 1,000 years. Ukpeagvik, or "place where snowy owls are hunted," is the native word for the community of Barrow (more details about the culture of Barrow will be shared in my next post). The temperature when I was in Barrow was around negative 15 degrees. Including the wind chill, temperatures dipped down to negative 40 degrees. Typically, temperatures remain below freezing from early October through late May. The high temperature is above freezing on an average of only 120 days per year and there are temperatures at or below0 °F on an average of 160 days per year. Usually in June the average temperature rises above freezing (to about 36 degrees), and average daily temperatures remain above freezing until mid September. Barrow is roughly 1,300 miles south of the North Pole and 320 miles north of the Arctic Circle. According to NOAA weather data, only 5.3% of the Earth's surface lies as far from the Equator as Barrow. While I was in Barrow, the city had just experienced the sun rising above the horizon for the first time in about 65 days. When the sun sets for good around November 19th or 20th, a polar night is created, which is when the night lasts for more than 24 hours. 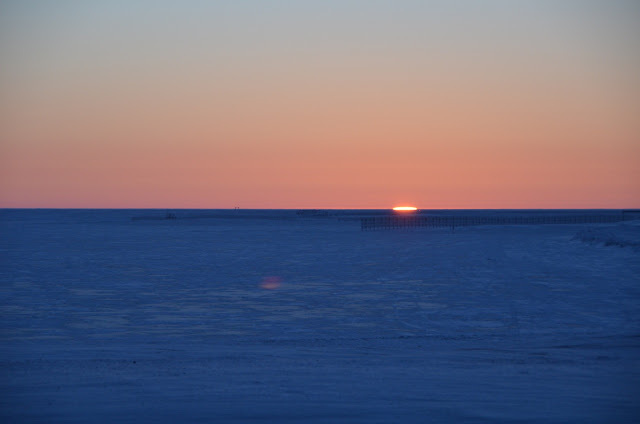 During the first half of the polar night, there is a decreasing amount of twilight each day, which is when the sun is below the horizon but light is still observed. On the winter solstice (December 21-22), civil twilight in Barrow lasts for just three hours. Beginning on or around May 11 or 12 the sun remains above the horizon for the entire day, and there is an increasing amount of twilight each day. Around June 21 or June 22, on the summer solstice, civil twilight in Barrow lasts for more than 3 hours and the midnight sun is observed. The sun does not set again for about 80 days - around July 31 or August 1. The roads in Barrow are unpaved due to the permafrost and like many rural communities in Alaska, there are no roads that connect the city to the rest of Alaska. Therefore, air transportation is the main means of getting in and out of Barrow and outlying cities. 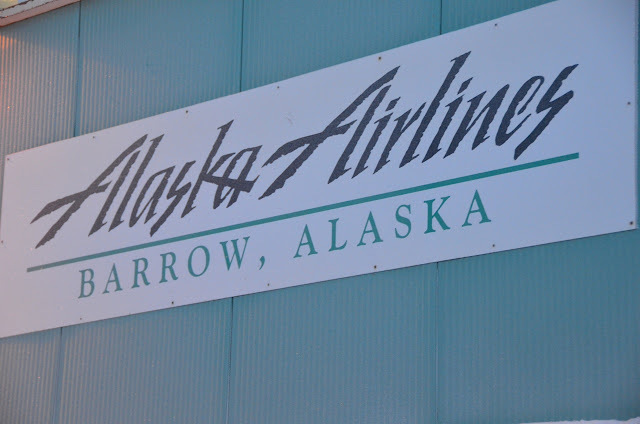 Barrow is served by Alaska Airlines and a number of small airlines have daily flight services to and from Barrow from nearby villages. Interestingly, the airport in Barrow is called the Wiley Post - Will Rogers Memorial Airport. The airport was named to commemorate the famous pilot and American humorist who in 1935, died in an airplane crash just 15 miles south of Barrow. Across from the airport is the Will Rogers and Wiley Post Monument. 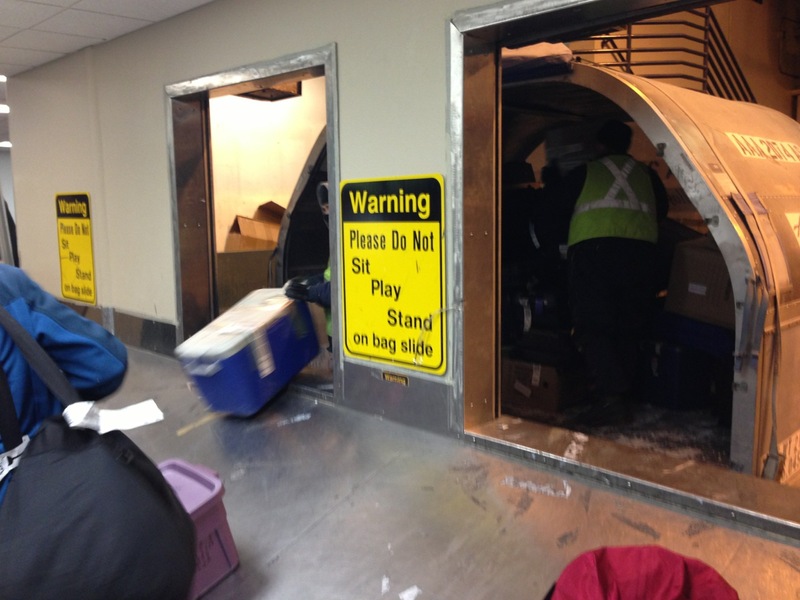 The "baggage claim" in Barrow is much different than your typical baggage claim in larger aiports. 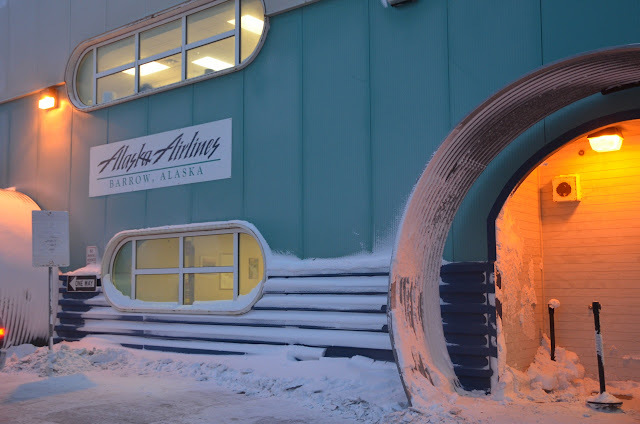 This is similar to how many aiports in rural Alaska operate their baggage claims - the door is opened and the luggage is thrown from the cargo holder onto the bag slide - classy, fast and efficient. 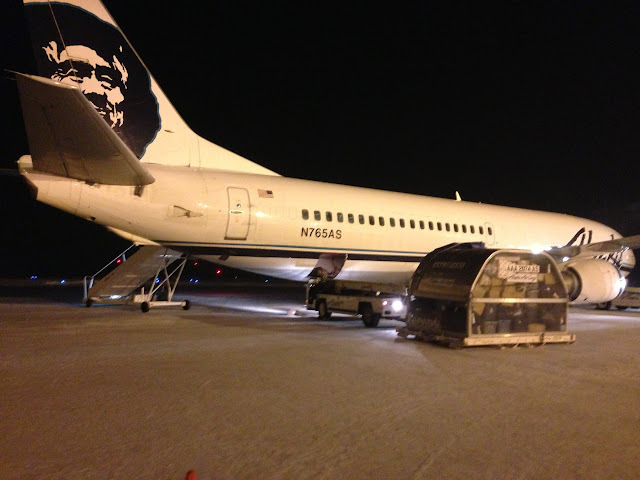 The plane I traveled on was a combi aircraft, which is a jet that can transport either passengers or freight, and often times in Alaska, transports both passengers and freight. The freight is loaded into the front of the plane and passengers sit in the back of the plane. The two areas are separated by a bulkhead, with no first class seating. Barrow is the economic center of the North Slope Borough. The regional hospital, health department, school, state and federal agencies and a number of businesses provide employment and support services to oil field operations. 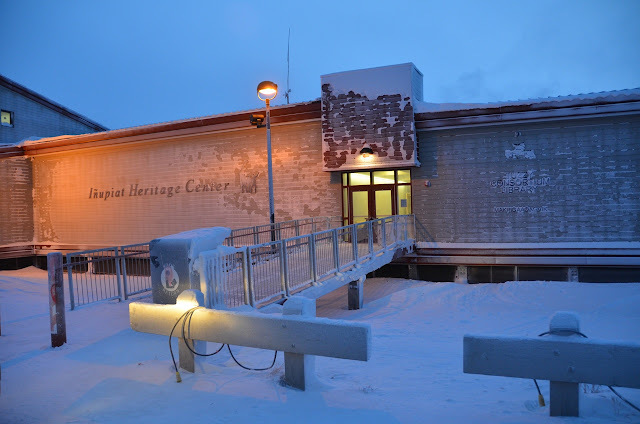 One of the buildings that is a focal point in the community is the Inupiat Heritage Center. Dedicated in 1999 by the New Bedford Whaling National Historical Park, the Center recognizes the contributions of the Alaska Native People to the history of whaling. Another point of interest in Barrow is Ilisagvik College. A two year tribal college, Ilisagvik College originated in 1986 as an opportunity for Alaska Native People and geographically isolated people who would have no other means to access higher education beyond high school. 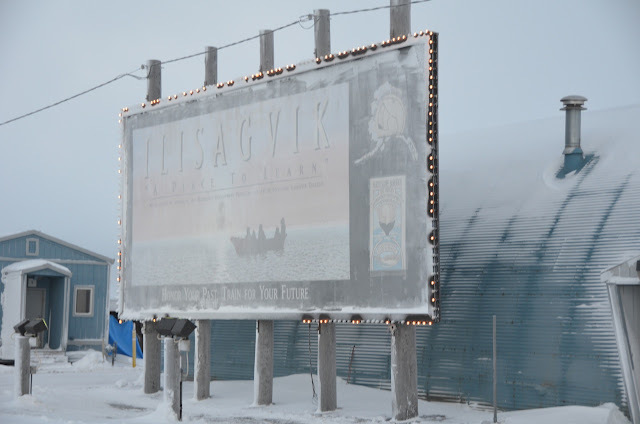 In 2003, Ilisagvik was accredited to offer Associate's Degrees and one year certificates. 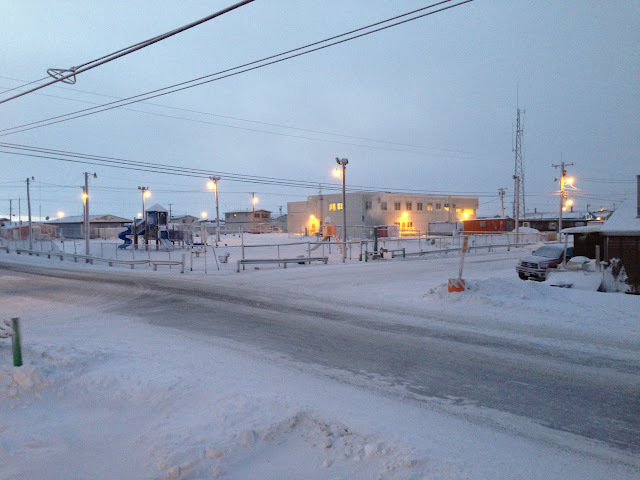 The school is located on a site previously used by the United States Naval Arctic Research Laboratory.